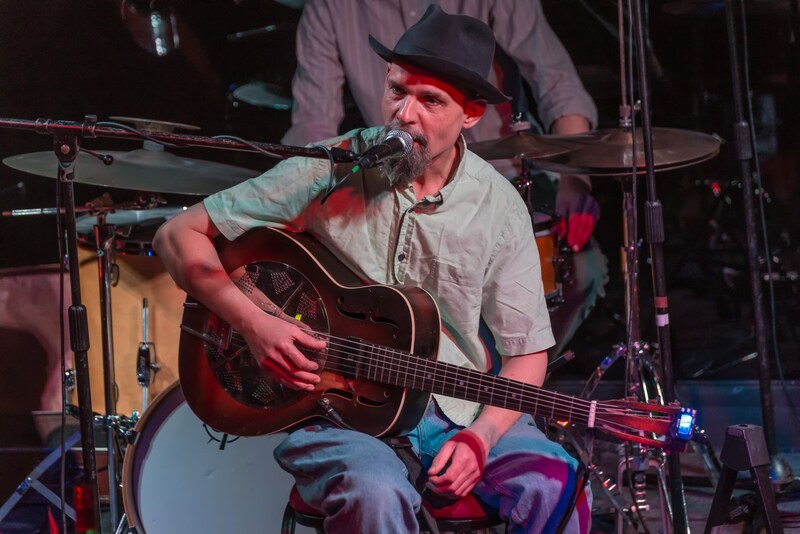 Tonight`s show features the Ife Tolentino – Steve Pierce Duo, (vocals/guitar), who present their Project Brazilian Music In The World which allies Brazilian music with Jazz, Rock , Baroque and Romantic Classical idioms. These seasoned artists have worked with musicians like João Donato, John Parricelli and have played all around the globe, including the WOMAD festival. 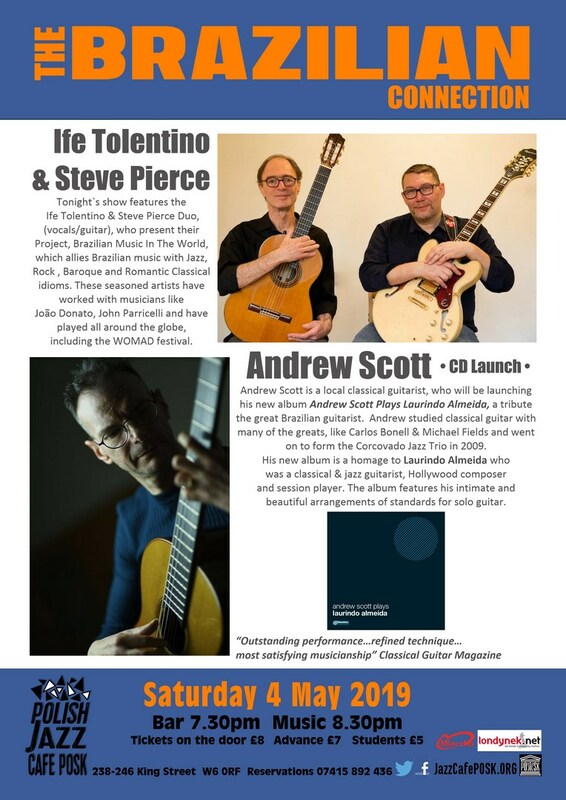 They are supported by classical guitarist Andrew Scott who is launching his album Andrew Scott Plays Laurindo Almeida which is a tribute the Brazilian guitarist Laurindo Almeida and his beautiful arrangements of jazz standards. Andrew Scott is a local classical guitarist, and tonight is launching his new album Andrew Scott Plays Laurindo Almeida which is a tribute the Brazilian guitarist Laurindo Almeida. Andrew studied classical guitar with many of the greats like Carlos Bonell & Michael Fields then went on to form the Corcovado Jazz Trio in 2009. His new album is a homage to Laurindo Almeida who was a classical & jazz guitarist, Hollywood composer and session player. The album features his intimate and beautiful arrangements of standards for solo guitar. Ife Tolentino, vocals & guitar, is a wonderful and warm hearted performer. 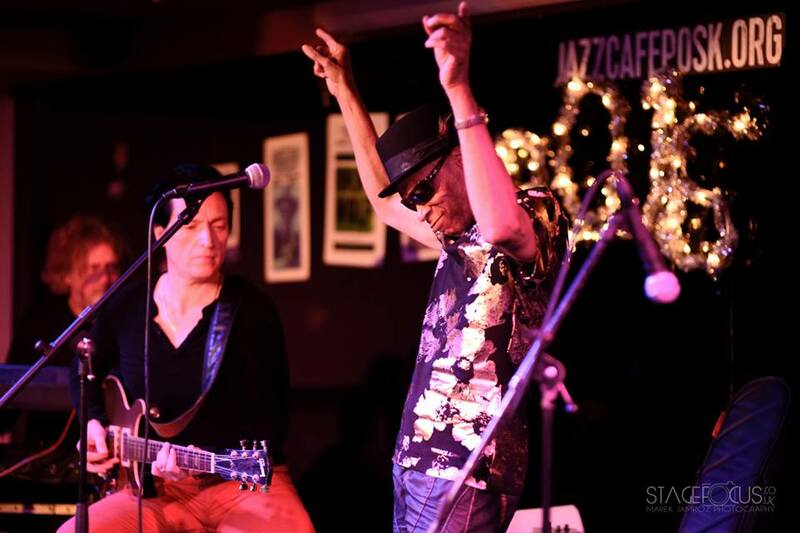 He was born in São Paulo Brazil and turned professional in 1970, he performed and recorded with Naná Vasconcelos, Toninho Horta, João Donato and many more. Ife has written with Clodô and Climério Ferreira, Pertúcio Maia & Fausto Nilo to name just a few and has lived in the UK since the 1992, always focussing on Brazilian music. 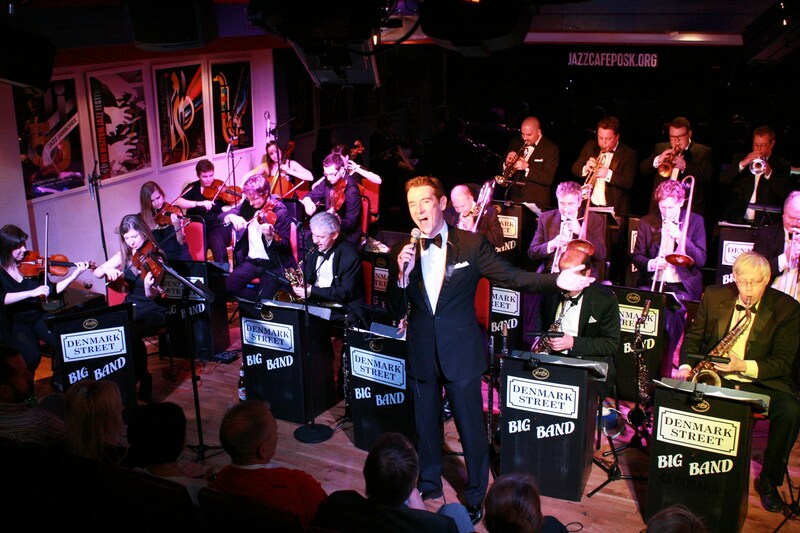 He has worked on projects, recordings and festivals, performing with top European talent as John Parricelli, Ingrid Laubrock & Liam Noble. Steve Pierce , guitar, had an interest in Brazil from an early age, and following a meeting with Hermeto Pascoal went to South America to find out more. 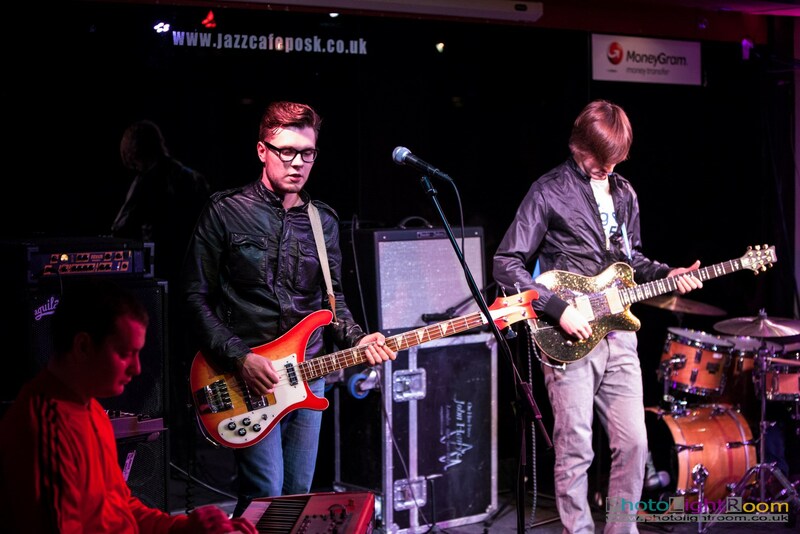 He’s played guitar and bass guitar in many project-based bands including a Brazilian project at WOMAD. Project Brazilian Music in the World shows that, without losing its Brazilian identity, it is possible to mix influences and rhythms of other cultures. 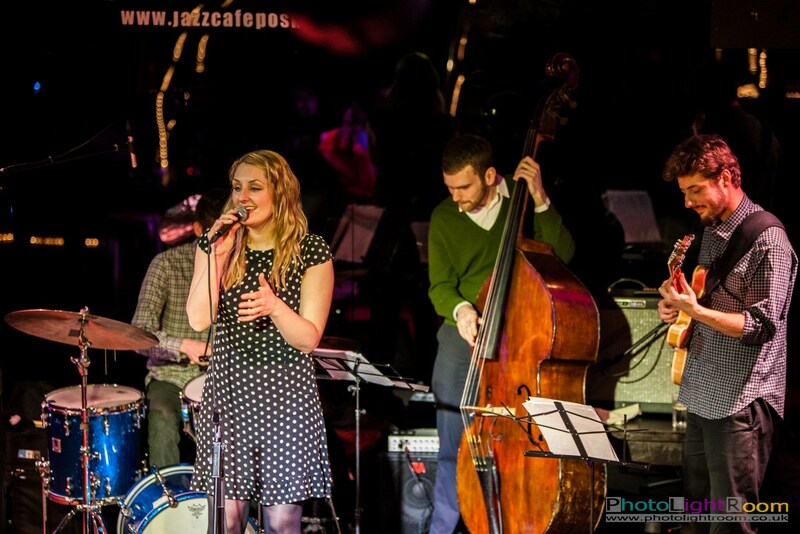 The project allies Brazilian music with Jazz, Rock, Baroque and Romantic Classical idioms. 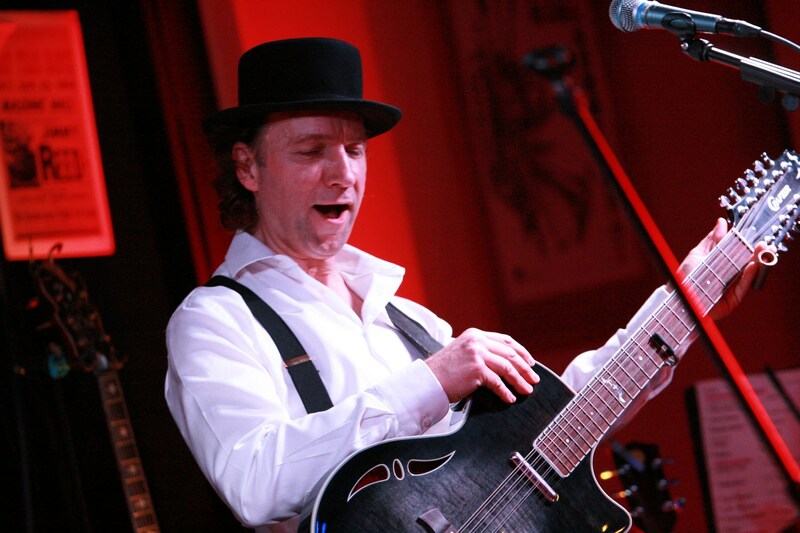 Andrew Scott studied classical guitar with many of the greats like Carlos Bonell & Michael Fields then went on to form the Corcovado Jazz Trio in 2009. 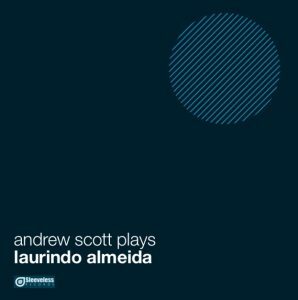 His album Andrew Scott Plays Laurindo Almeida is a homage to Laurindo Almeida who was a classical guitarist, jazz guitarist, Hollywood composer and session player. The album features his intimate and beautiful arrangements of standards for solo guitar.